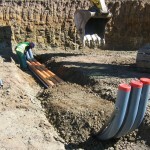 Anchor cage foundations are an alternative to the embedded ring and they will be a de facto standard in the future. 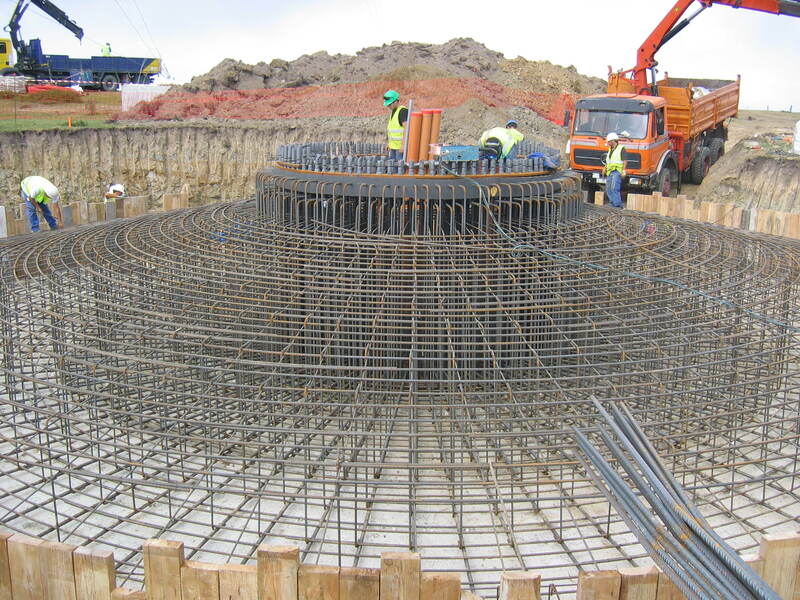 Basically an anchor cage is a set of bolts, kept together by an inferior and superior steel rings. 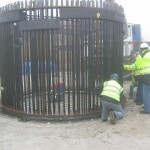 It normally arrives disassembled to the site, and it is mounted by workers in a few hours. 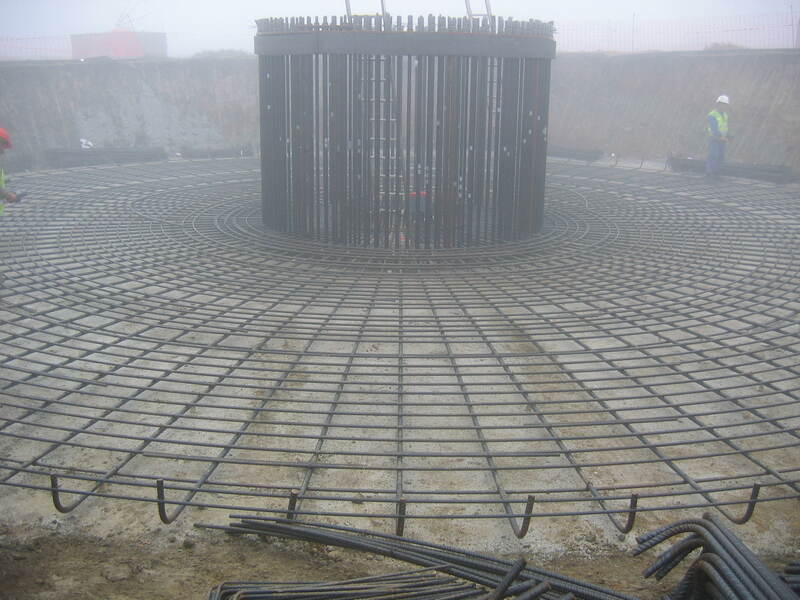 The main advantage is a better transmission of loads to the concrete: sometimes a separation of the embedded ring from the concrete is observed, normally leading to movements of the tower and serious stability problems. 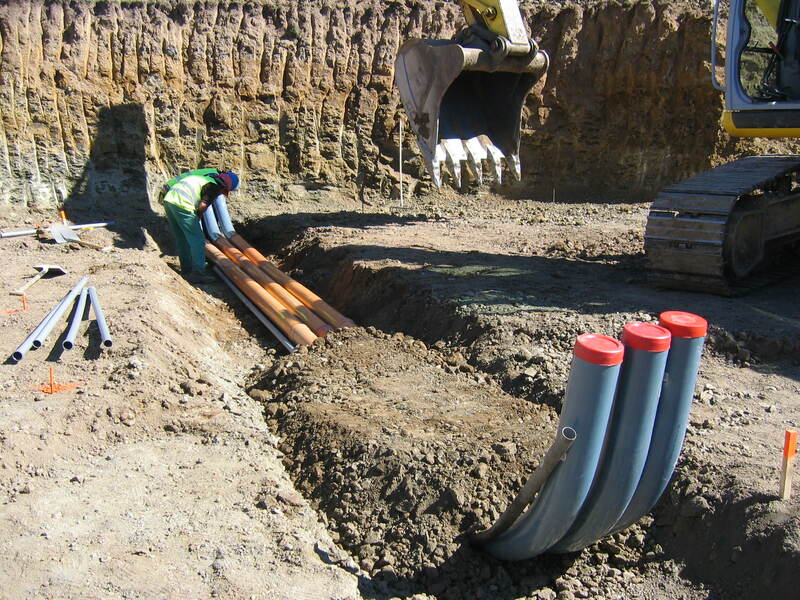 The first steps of anchor cage foundation are identical to the standard foundation: a hole is excavated into the soil with the dimensions indicated in the constructive project, and the bottom is prepared with about 20 cm of blinding concrete. 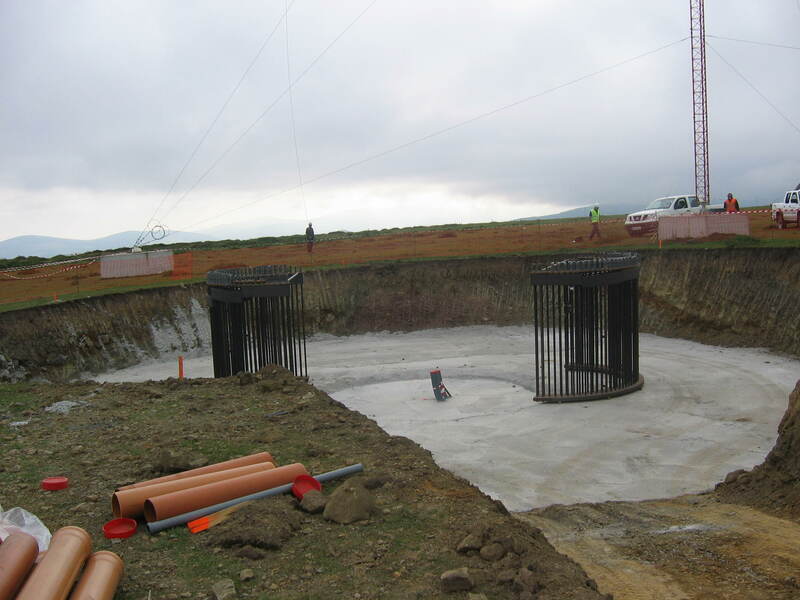 After the anchor cage is positioned in the middle. 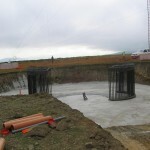 It can be assembled right in the foundation hole or somewhere nearby and than it’s moved using a small crane. When it is in the final position, horizontality of the cage is checked and adjusted as needed (it rest on small feet). 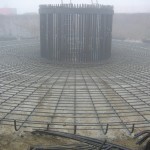 Then, reinforcement bars are placed: first radial bars, than concentric bars, shear bars and finally the superior group of bars. 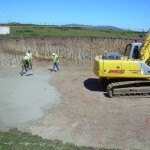 When all bars are ready, concrete is poured and vibrated and the foundation is covered by soil. 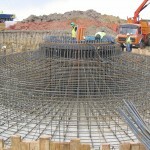 Finally, the bottom section of the tower is guided into position and washers and nuts are positioned and pretensioned. 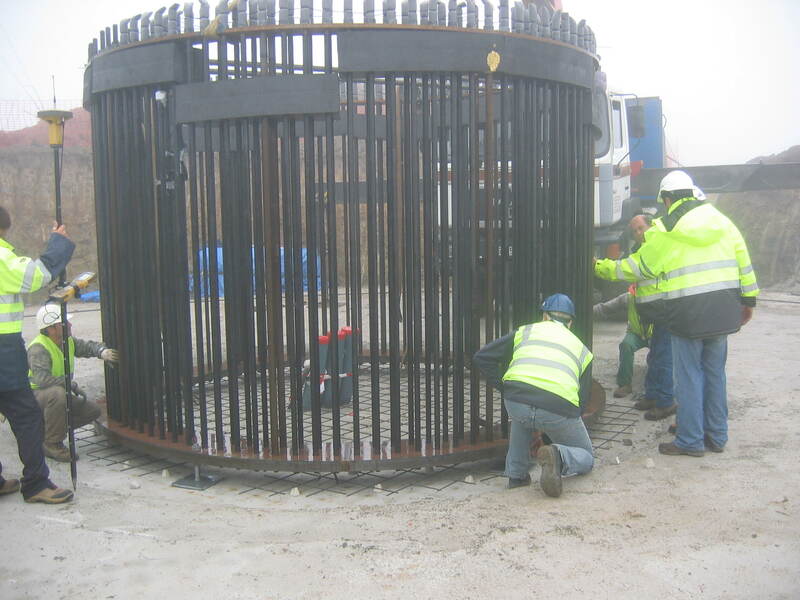 Final tensioning will be applied only when grouting is poured between the tower and the anchor cage. 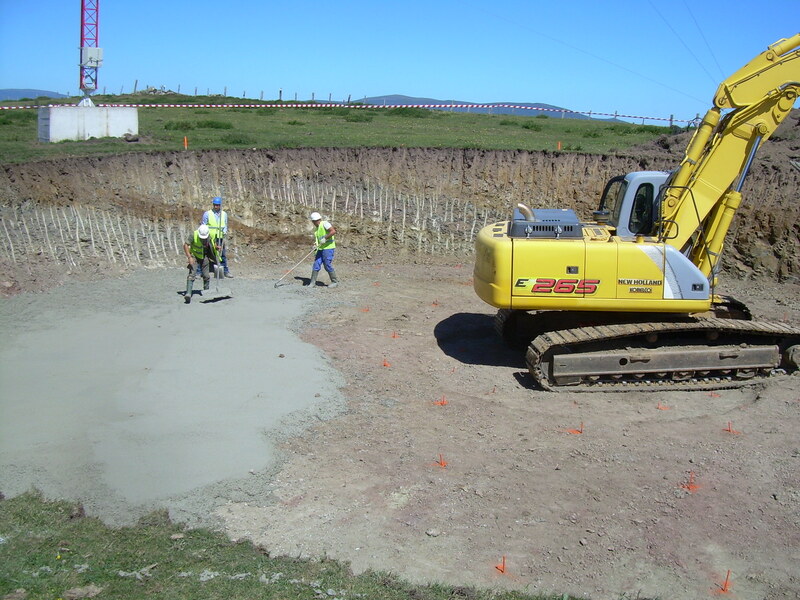 Grouting is a complicated operation that will be described in detail in another post. This entry was posted in Towers & Foundations and tagged anchor cage, bolts, jaula de pernos by Francesco Miceli. Bookmark the permalink. This is a very interesting website, I highly encourage you to continue posting interesting information about constructing windfarms. Moreover I suggest you cooperate with the best training institutes to advertise about their training calendar, as I find it really difficult to get an authenticated source for specialized training courses in wind farms construction, or even some of its components such as substations, OHL, etc. good articles, show me an information about make a good foundation..
ti chiedo se hai esperienza anche nel dimensionamento degli anchor cage ed in particolare dei tirafondi e quindi del valore ideale di pretensionamento delle barre?